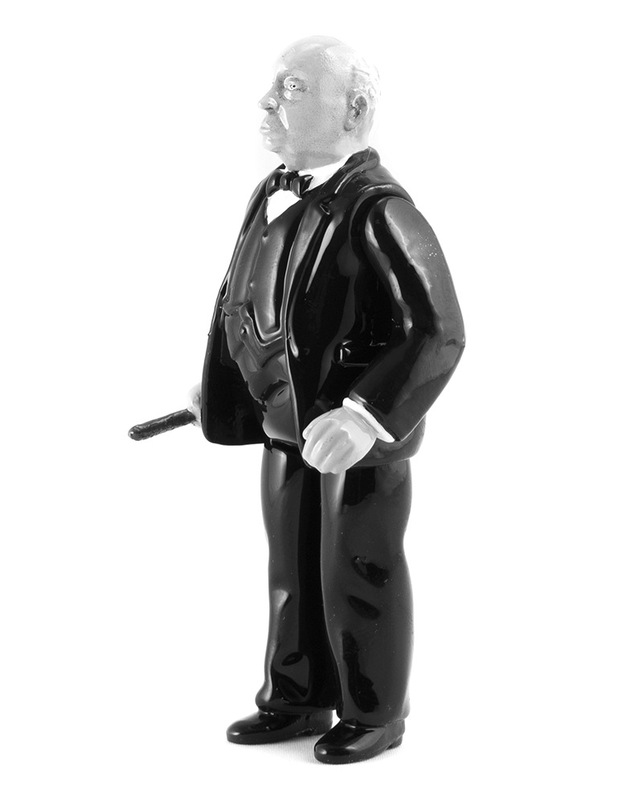 It’s looks like it’s going to be a KILLER Friday this week, as Killer Bootlegs and Hamfx team up with The Adam X for the release of the one and only ‘Master of Suspense’ Alfred Hitchcock bootleg action figure!!! Featuring a digitally sculpted head that’s been masterfully kit-bashed with a vintage Boos Hog body, the chunky 3.75″ action figure has been cast in resin, coming hand painted by KB’s Peter Goral. 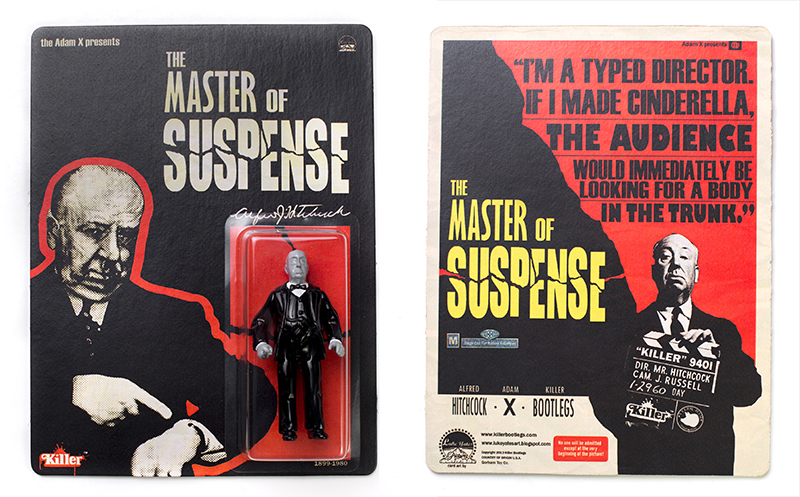 Limited to an edition of 50 pieces that have been backed with a vintage movie poster inspired card designed by Luke Yates and printed by Sidekick Media, Hitch will be up for grabs on the Adam X store this Friday, December 20th at 3pm Eastern time for $80 plus shipping… Will these sell out??? Without a SHADOW OF A DOUBT! So don’t be a PSYCHO and make sure you nab one!!! 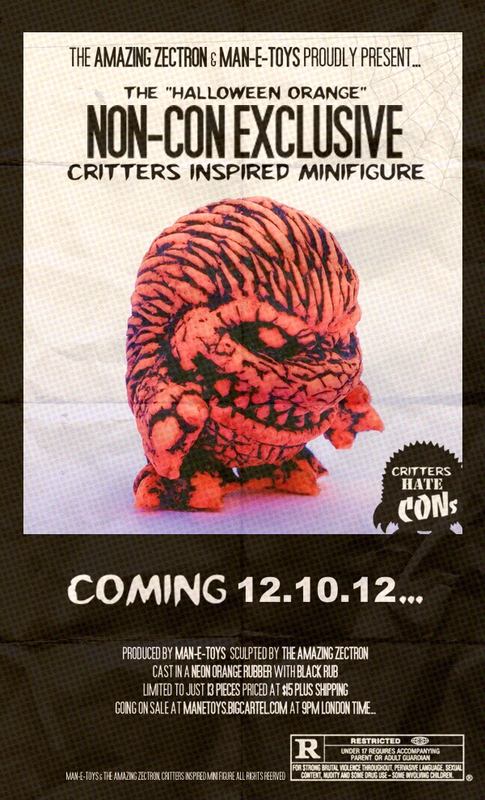 MAN-E-NEWS// The “Critters inspired” mini figure: Halloween Orange “Non-Con” Exclusives! 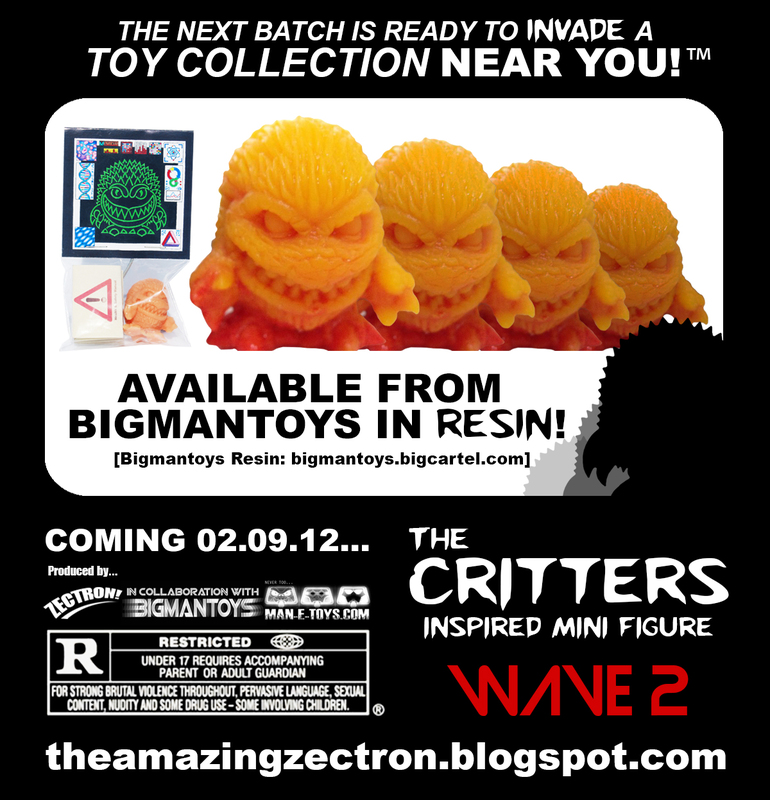 Our very own Tru:Tek has once agin teamed up with the Amazing Zectron for the latest batch of “Critters inspired” mini figures… the Halloween Orange “Non-Con” Exclusives! 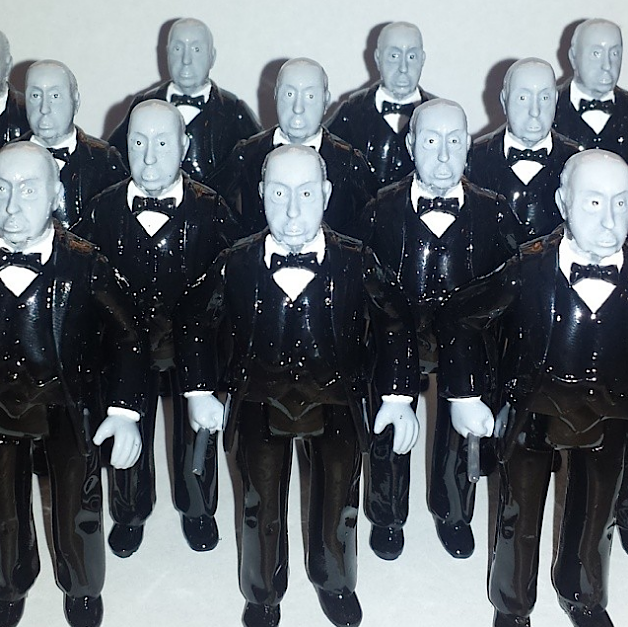 Whilst we’d have loved to send a batch of the mischevious little creatures to NYCC this week, there was unfortunately no one willing to take on such a big and dangerous task… so we’ve decided to stick them up in the Man-E-Toys store instead! 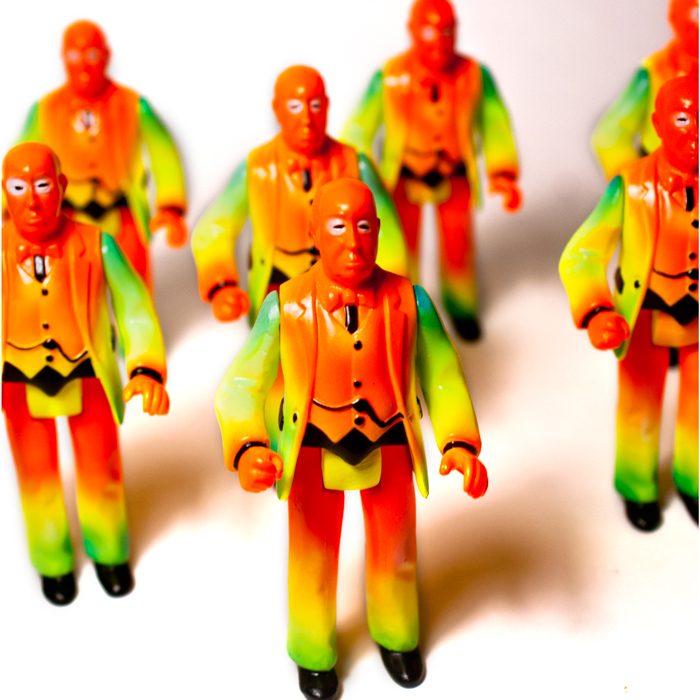 Dedicated to the thousands of frustrated collectors who won’t be able to attend the event over the weekend, the hand cast neon rubber figures will be available this Friday from 9pm London time. 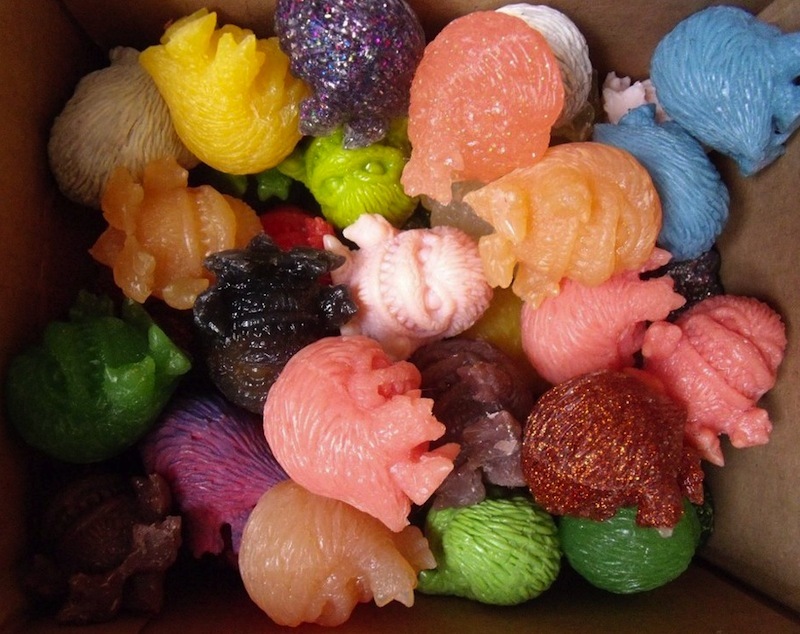 Featuring a black acrylic rub from Tru:Tek, each Critter comes bagged, with a hand drawn header from Zectron, plus safety booklet for just $15 plus shipping… LIMITED TO 13 PIECES!